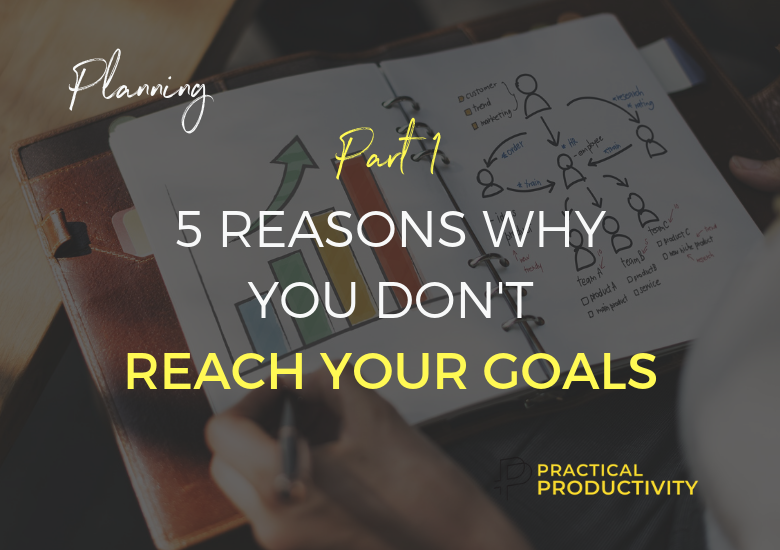 After years of helping leaders and small business owners be more productive and profitable, and after seeing the same challenges tripping them up, I’ve put together the top 5 reasons why business owners don’t reach their goals and surefire ways to fix it. 2. You don’t have a clear plan. 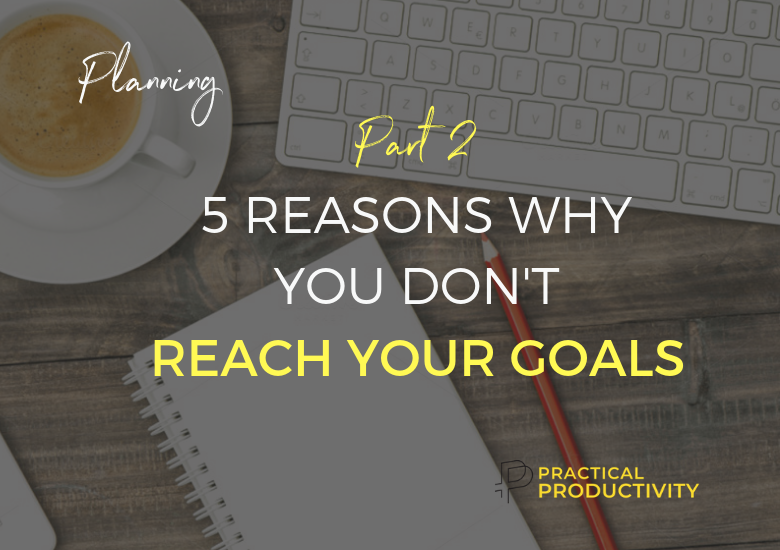 Let’s explore the last 3 reasons why you don’t reach your goals. Once you have a clear vision and plan, the next potential obstacle that can trip you up is knowing what to do but still not doing it. So you’re not taking the steps to make that goal a reality. In our mountain climbing analogy, this will be choosing a peak to climb and seeing yourself on top of the mountain but not taking the steps to climb the mountain! This happens because fear gets in the way of us taking action. Goals are defined as “an aim or hope to achieve something” which means that in order to achieve it, we’ll have to do things we haven’t done before which makes us feel uncomfortable or downright terrified. Goals are meant to stretch us out of our comfort zone, so if you don’t feel uncomfortable or a little scared while chasing your goals, you simply created a to-do list for yourself. But going outside your comfort zone means dealing with your fears. When you’re feeling afraid, it’s easy to make excuses and put things off till later. And that’s how your vision and action become misaligned and you don’t reach your goals. Fear will never go away. Don’t wait to feel ready – the only way to win, is to take action. It’s how you choose to deal with fear that makes some people successful in reaching their goals while others don’t quite get there. This approach feels totally counter intuitive as you want to feel ready before you take action but it’s the act of DOING what you’re afraid of, that will help you overcome the fear and make you feel confident to push forward. Reading or research is NOT doing. Talking about something is NOT doing it. The ONLY way to reach your goal is by taking the next step, possibly failing the first few times, learning from mistakes and giving it another go until you’ve reached your goal. Just like you can’t expect to get to the top of the mountain if you stop climbing halfway through, you can’t expect to reach your goals if you don’t take consistent daily action. This is much easier said than done, as we’re only human! And that’s why it’s so important to have a strong vision of what you want to accomplish and why it matters so much to you. Then it’s creating rituals and habits at work and in your life to ensure you take regular action, as we can’t rely on willpower only or wait to ‘feel like it’ before we take action. There will definitely be breaks in the routines you created, as life throws us curve balls from time to time. These breaks will inevitably lead to a loss of momentum but HOW we deal with the loss of momentum is the key to whether we’ll reach our goals or not. Research has shown that we tend to be super harsh with ourselves when we break a ‘winning streak’ and instead of forgiving ourselves and getting back on track, shockingly most people completely give up on the whole goal! When you lose momentum, don’t quit! Get back on track. Logically this doesn’t make sense, but it has been proven over and over. Studies have found that people trying to wake up earlier would stop altogether after missing ONE day, regardless of being successful for a week or more before that day. Or they would give up on their diet because they had one unplanned cheat meal or stop hitting the gym because they went on a business trip and now the ‘winning streak’ has been broken. Reaching your goals is tough, so let’s see how we can increase your chances of success. Be clear on your big vision and remind yourself daily of the reason why you’re doing what you’re doing, with a vision board or vision statement. Create habits at work that will help you reach your goal e.g. Theme Days in your business where you work on specific things in your business on specific days like Marketing Mondays. Or dedicate blocks of time a couple of times per week to work on specific projects or goals. Schedule the blocks in your calendar and treat them as non-negotiable appointments with yourself. Your success and overall happiness depend on it. Be prepared for them as they are there to teach us and test us. 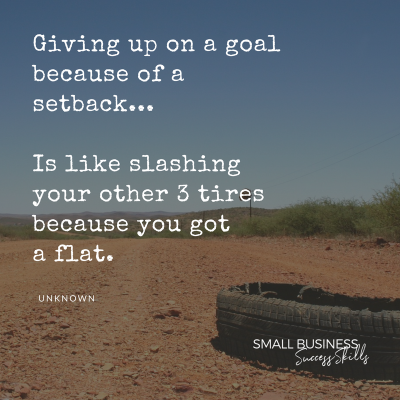 Anyone who has ever achieved success had to face many setbacks. Get up, forgive yourself and get back on track. When you climb a mountain like Everest it’s essential to take the right action and get the right guides to help you summit. If you don’t get the right help, you could literally die on the mountain! The consequences of not getting the right help at work might not be as severe, although you could end up losing your job or your business could close down. Find a course, a mentor, a coach, colleague or peer to help you shorten the learning curve and help you take the right action to reach your goals quicker. Identify a few specific individuals who can help you bridge the gap between where you are and where you want to be. A mentor give valuable advice so you don’t have to learn all the hard lessons yourself. They have been there, done that and got the T-shirt. Asking questions and getting advice from someone who already walked the path you’re on, will save you countless hours, dollars and much frustration. Just like Batman needs Robin, you need a sidekick or cheerleader to have your back and keep you motivated. Cheerleaders can be found in group settings like small group coaching, certain networking groups, accountability pods or membership communities. 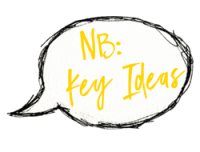 If you like more of a one-to-one approach choose a respected peer for accountability and brainstorming. And lastly, think about who the connector is your network. This is the person who can help to open doors for you, make introductions and get you quicker to your goals. If you’re looking for a coach to kick some goals, let’s schedule a free call. 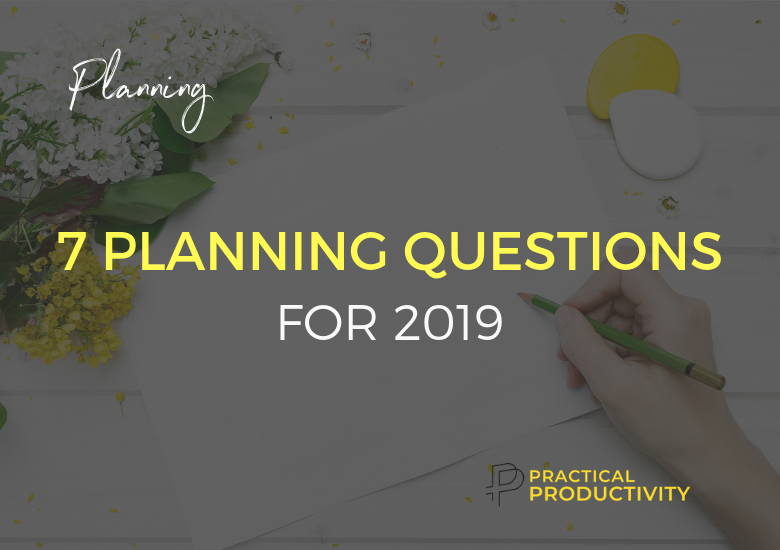 Read the 7 Planning Questions for 2019 blog post by clicking the link – here I cover the 7 essential areas to plan for if you want to reach your goals in 2019. 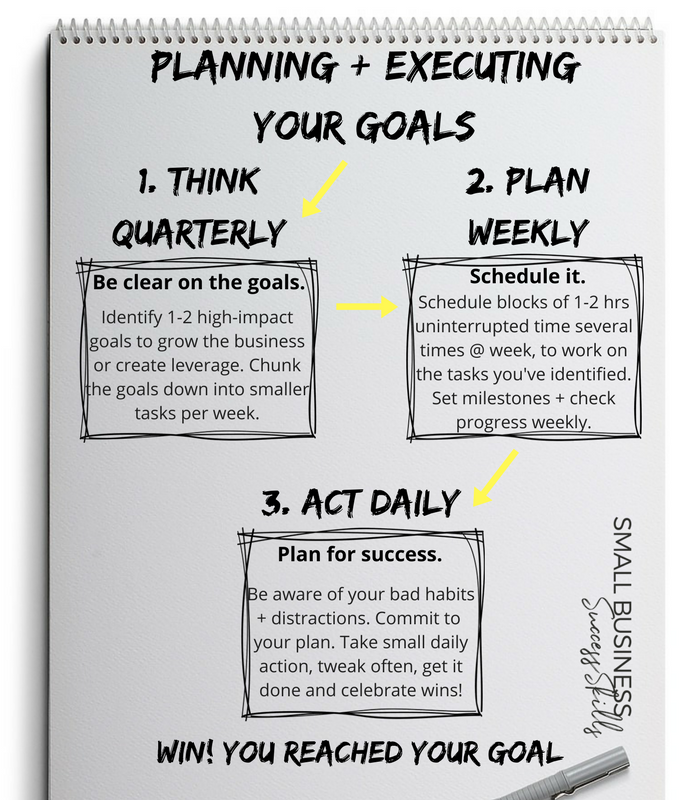 Download your own customisable 90-Day Action Plan around the 7 Essential Areas by clicking the link or image below and start planning your success today. 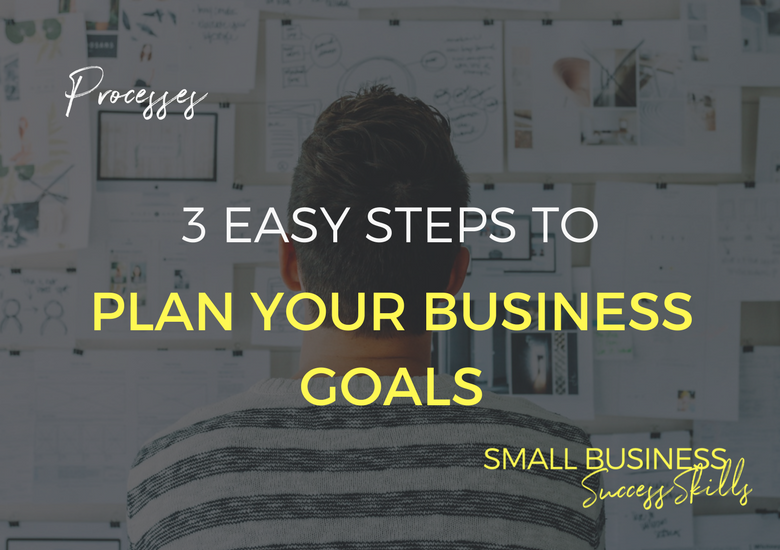 Which if these 3 reasons have tripped you up in the past when trying to reach your goals? Leave your comment below. 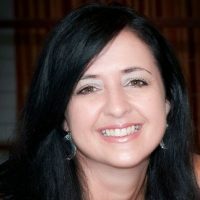 Author: ALICIA MENKVELD Alicia is an award-winning consultant, trainer and speaker for the last 19 years. She’s an authority and trusted adviser to many leaders, teams and small business owners in the areas of leadership, team performance, productivity and bravery. Alicia has a simple but powerful message: Do Less, Better. She loves to travel, and lived and worked in South Africa, the UK and Australia. One of my coaching clients, Caroline, is not a happy camper. Twelve months ago she organised a stunning off-site planning get-away for her and her small team of 4 staff members. The goal was map out their operational plan for the next year. One year later when she reviewed the planning document they produced, she was shocked to learn that the numbers were disappointing and several goals haven’t been reached. In their book, The Balanced Scorecard, authors David Norton and Robert Kaplan found that a staggering 90% of companies fail to execute their strategies successfully. This includes large organisations and small businesses alike. ASIC has found that one of the main reasons 60% of small businesses close their doors within the first few years, is because business owners have no clear plan or they get stuck in the daily running of the business and don’t execute their plan. This is what happened to Caroline and her team. They created a plan but put it on the shelf as the daily operations consumed them. Putting your plan on the shelf is as bad as not writing a plan at all. Being busy does not always mean real work. The object of all work is production or accomplishment and to either of these ends there must be forethought, system, planning, intelligence and honest purpose, as well as perspiration. Seeming to do is not doing. Just wanting something isn’t enough. Creating a plan and executing it, takes discipline as you’re bound to encounter challenges along the way. After years of helping leaders and small businesses simplify their strategy and planning processes and hearing the same questions time and time again, I decided to put together 7 Essential Planning Questions around the seven areas of a high performing business for 2019. 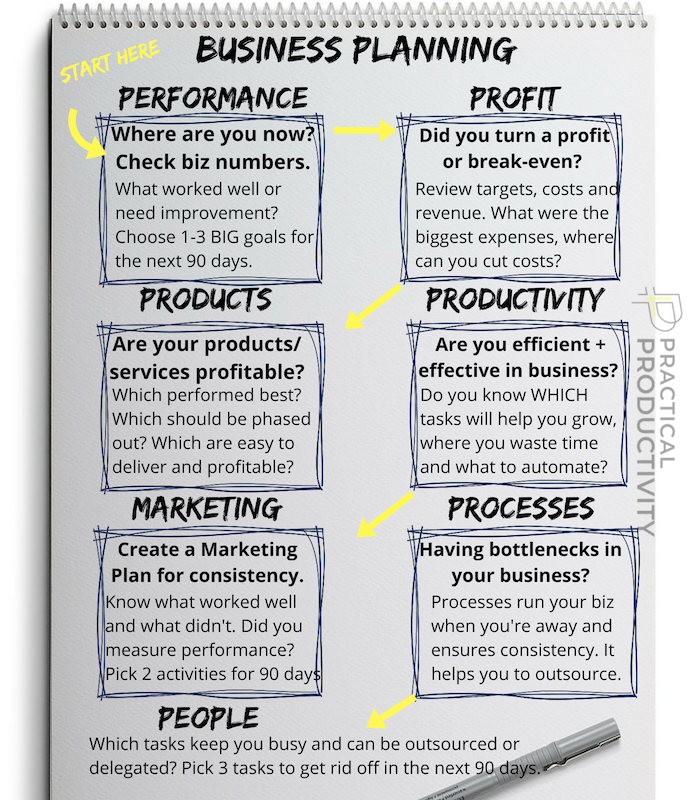 I cover each of the 7 Essential Planning Questions in depth in the download below AND you’ll also get your own customisable 90-Day Action Plan around these 7 areas. How often do you and your team have a planning meeting? Leave your comment below. Author: ALICIA MENKVELD Alicia is an award-winning consultant, trainer and speaker for the last 19 years. She’s an authority and trusted adviser to many leaders, teams and small business owners in the areas of leadership, team performance, productivity and bravery. Alicia has a simple but powerful message: Do Less, Better. She loves to travel with her husband and lived in South Africa, the UK and Australia to date.